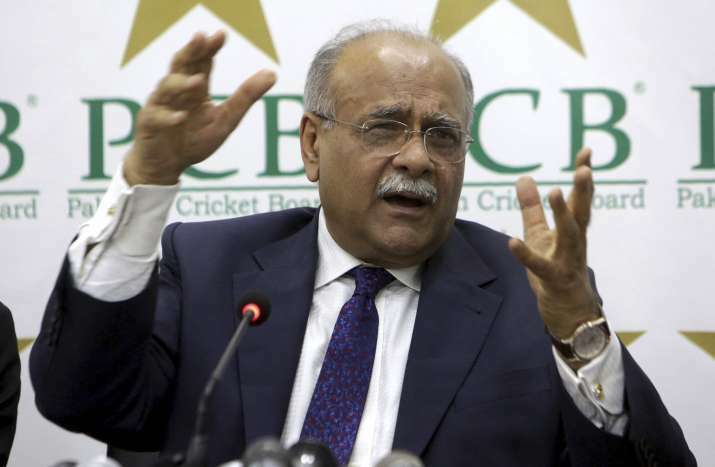 Lahore, Dec 12: The Pakistan Cricket Board (PCB) on Monday questioned the BCCI's proposed Future Tours Programme (FTP) structure for the 2019-2023 cycle, which expectedly does not feature any India-Pakistan bilateral series. The Board of Control for Cricket in India (BCCI) however, has maintained its stance that there can be no bilateral series between the two neighbours (both home and away) unless the Government of India gives clearance. India has also not kept Pakistan amongst its six proposed opponents for the World Test Championship beginning in 2019. The PCB made it clear to the International Cricket Council (ICC) that if it gets a favourable verdict in the Dispute Resolution Process that it has initiated against the BCCI, it will object to the current FTP structure. "Since the onset of these discussions, PCB has reiterated its position on bilateral series vs India. Our position is that PCB's agreement to the revised structures for international cricket is subject to the condition that PCB has a valid agreement to play bilateral matches with India and India vs Pakistan matches would be included in the FTP. This continues to be our position," a PCB release stated. The BCCI had signed a MoU in 2014 which had six home and away series during the 2015-2023 cycle. "PCB has also informed the ICC that it has initiated a dispute resolution process against the BCCI under the ICC Dispute Resolution Committee Terms of Reference. "Further to that the PCB's claim is based on an existing agreement with the BCCI which contemplates that India will tour Pakistan in December 2019, August 2020 and Nov-Dec 2022 and Pakistan will tour India in Nov-Dec 2021," the release claimed.